There is good vegan cheese out there and bad vegan cheese. Let’s talk about the good stuff. Giving up cheese is hard, guys. Cheese is addictive (literally), and until relatively recently, plant-based cheese options were…awful. Let’s be real. They did not taste like cheese. But in the decade since I kicked dairy to the curb, vegan cheese has changed. Today, there are vegan cheeses out there that are just as tasty as their dairy-based counterparts, no animal cruelty required. I’ve been vegan for a long time, and I. Love. Cheese. Vegan food is just food, and like all food, there are good and bad options out there. As a cheese-lover, I’ve tried many—good and bad—over the years. These are the vegan cheeses that are me-tested and omnivore approved. I’ve served these to friends who eat dairy cheese, including my mother, who is French, and picky toddlers who devour them. If that’s not rigorous testing, I don’t know what is. 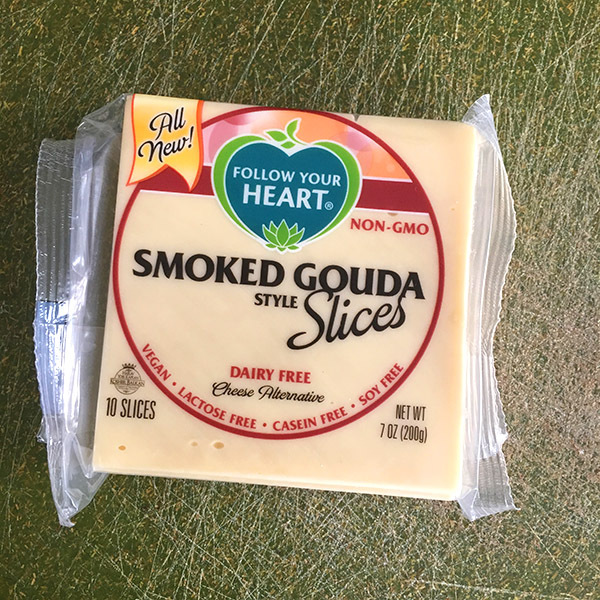 Follow Your Heart Gouda Slices are a great everyday vegan cheese option. 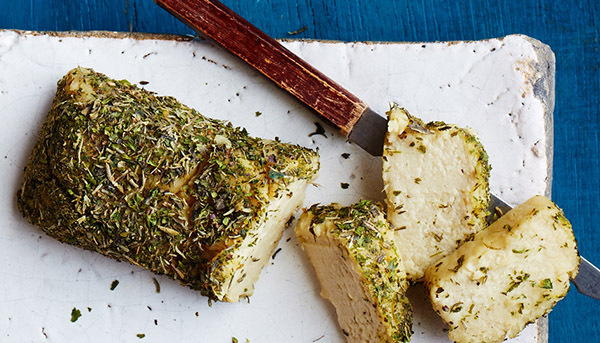 Eating vegan doesn’t have to be expensive, and these delicious vegan cheese options prove it. These are vegan cheeses that cost $6 or less for a package, and they’re the ones that we keep in the fridge for everyday stuff like grilled cheese sandwiches. Daiya Farmhouse Blocks – If you’ve tried Daiya shreds and disliked them, I encourage you to give the Farmhouse Blocks a try. They don’t have that “Daiya” taste that some people find unpleasant. My son loves the Farmhouse Cheddar, and I’m a big fan of the Jalapeño Havarti. It looks like they also do a Gouda block, which I am now officially on the hunt for! Follow Your Heart Slices – Follow Your Heart makes a few sliced options, and they are amazing. I am a huge fan of the Gouda, and they also make great Provolone, Pepperjack and Mozzarella, along with a few that I haven’t found at local stores here in Atlanta. Their blocks are good, but the slices are a cut above, in my opinion. Field Roast Chao – Chao is a traditional, Vietnamese fermented tofu, and it’s what gives Field Roast cheese their well-rounded flavor. My favorite is the Creamy Original. If spicy food is your jam, try the Tomato Cayenne, and if you are a coconut lover, the Coconut Herb is also amazing. Pure Abundance Pan Cheese is hands-down my favorite vegan cheese out there right now. Nut-based vegan cheeses are pricier, but you get what you pay for. If you’re putting together a fancy cheese plate, these are the cheeses to spring for. These range from $7-$12 in price. Miyko’s Creamery – Miyoko Schinner is sort of the godmother of artisan vegan cheese. Her line of fermented, nut-based cheeses is vast, and I have yet to try one that I haven’t loved. She also makes a palm oil-free vegan butter that’s available at Whole Foods and Trader Joe’s. Pure Abundance – Allison Wunderland Dabbs is an Atlanta-based vegan cheese-maker who creates one of my all-time favorite vegan cheeses. Her Pan (pictured above) is a sliceable, fermented cashew cheese covered in flavorful herbs and perfect for crackers. If you like a more delicate flavor, the Luna (pictured at the very top of the page) is bright, rich and creamy. You can purchase both on her website. Treeline Spreads – These cheesy spreads are creamy perfection. Perfect for spreading onto crackers or your favorite sandwich. Treeline also makes blocks which I’m hearing good buzz about but haven’t been able to find here yet. Kite Hill – These soft fresh cheeses are perfect for slicing. Kite Hill also makes a ricotta that is perfect for any recipe calling for dairy-based ricotta cheese. You can also find Kite Hill ravioli stuffed with their cheeses plus veggies and herbs. Recommended! 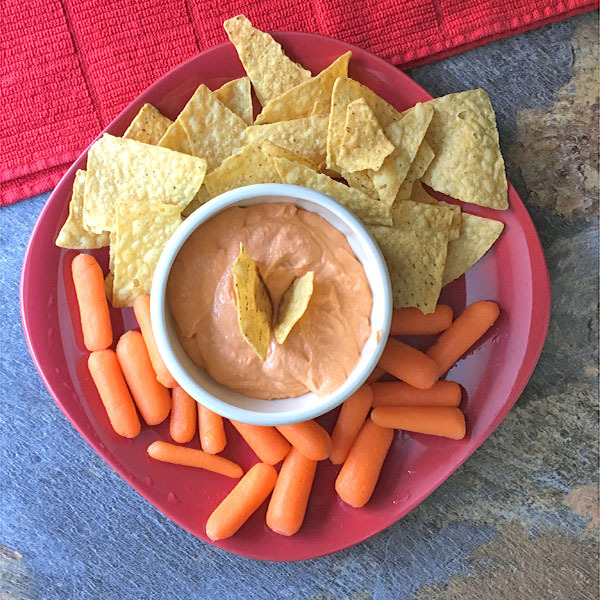 This vegan queso dip is an easy, crowd-pleasing blender cheese recipe – no fermentation required. 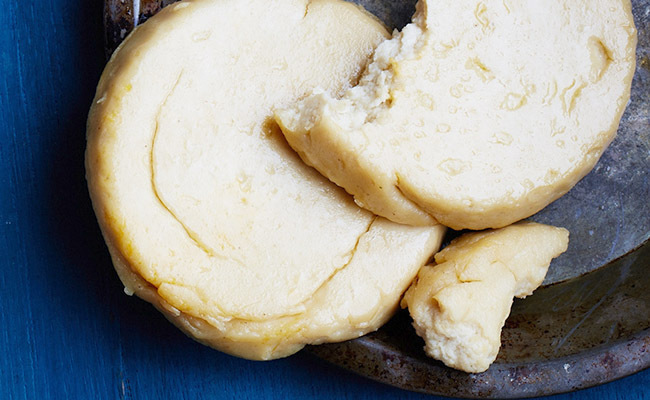 You can also make some amazing vegan cheeses at home. 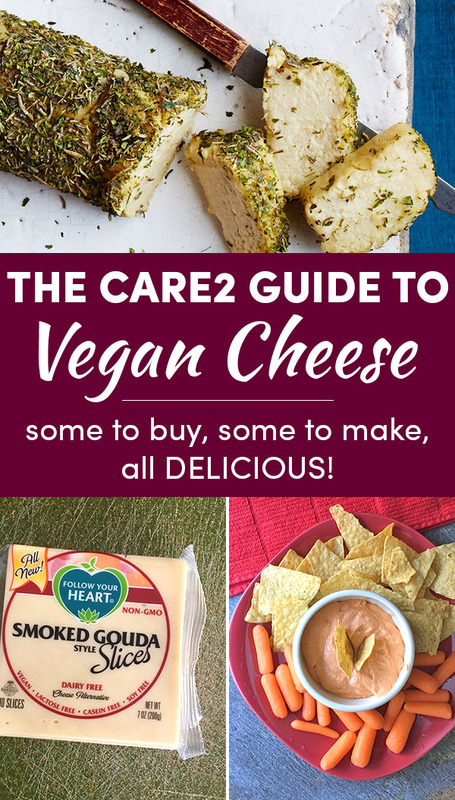 Below is a video and written recipe for my Vegan Cashew Queso, and you should also check out my recent roundup of other vegan cheeses you can make. The roundup includes options like Jalapeño Cashew Cheese Spread, Roasted Garlic and Herb Cream Cheese, and Baked Tofu Feta along with nine other deliciously dairy free cheese recipes. Soak the cashews in enough hot water to cover for 15 minutes, then drain off the water. Toss the cashews into the blender with the remaining ingredients, and puree until smooth. Chill until you're ready to serve. Addicted to cheese? Here’s why! Disclosure: I am not being compensated in any way by the brands mentioned above, unless you count finally having access to vegan cheese options at the grocery store that I’m excited to eat and to share! Gouda and Queso images by Becky Striepe. Pan photo via Pure Abundance website, used with permission. Thank you. Iâll keep these in mind on my next visit to USA.